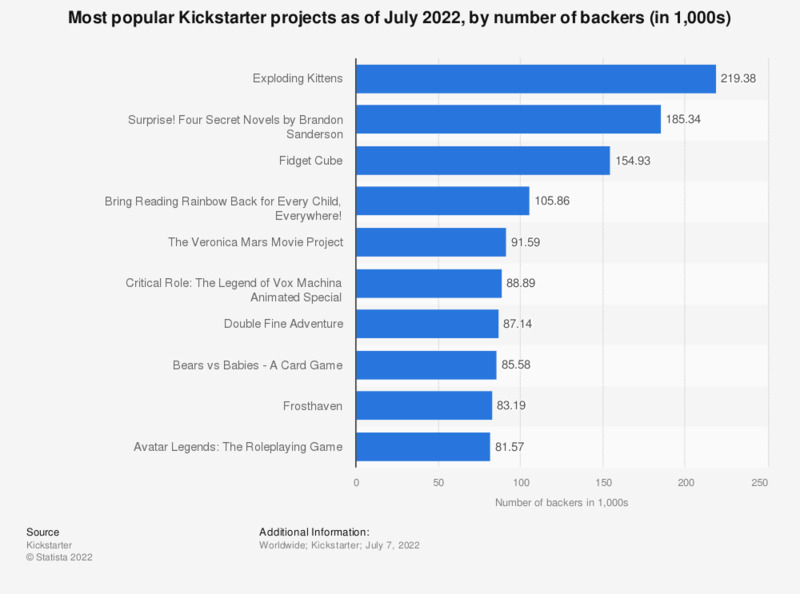 This statistic presents a ranking of the most-backed Kickstarter projects as of January 2019. At the end of 2014, Bring Back Reading Rainbow, a project with the aim of providing free access to a library of interactive books and video field trips to children, was the most-backed Kickstarter project with 105,857 backers in total. In February 2015, the card game project, Exploding Kittens took first place with 219,382 backers.